Semarang | Unimus (July 9, 2018) 31 students of Diploma IV Program in Medical Laboratory Technology, the Faculty of Nursing and Health Sciences at Universitas Muhammadiyah Semarang (Unimus) will participate in “Internship Program & Community Service” at Management and Science University, Malaysia. 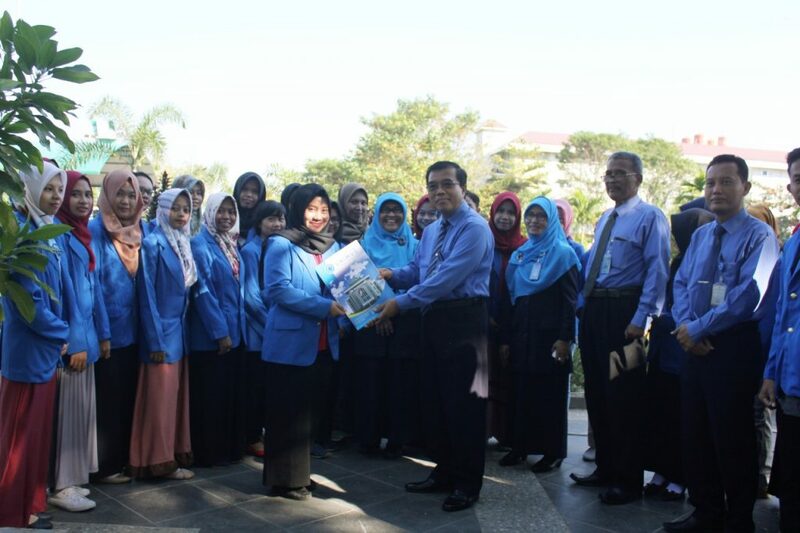 The students were dispatched officially by Prof. Dr. Masrukhi, M.Pd., the Rector of Unimus, accompanied by Dr. Sri Darmawati, M.Si, (Vice Rector I), Dr. Sri Rejeki, M.Kep., SpMat. (Vice Rector II), Drs. Samsudi Raharjo (Vice Rector III), Moh. Yusuf, Ph.D. (Director of Unimus IRO) and Dr. Budi Santosa, M.Si.Med. (Dean of the Faculty of Nursing and Health Sciences). Dr. Sri Darmawati stated that Unimus’ students were encouraged and facilitated to take international student mobility programs at various higher education institutions abroad. ”The course is taken to open the students’ horizon as well as to make the ready to compete in the global era. It is also to make them able to cooperate with international labors from various countries,” she explained. Meanwhile, Fandi Adhi Wardoyo, M.Sc., the Study Program Secretary of Diploma IV in Medical Laboratory Technology, explained that one of courses available in Diploma IV of Medical Laboratory Technology was Field Work Practice. The students could choose the locations, either inside or outside the country. 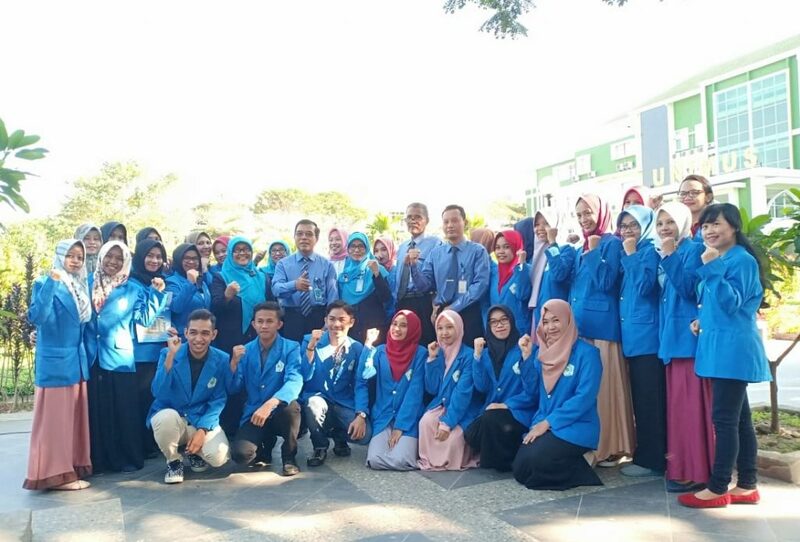 “The elective field work practice is attended by 8th semester students, aiming at broadening the horizon as well as giving more experiences to them and supporting the study program’s vision and missions keen to create graduates with international insights,” he said. “Student will compare between learning and competencies in Indonesia and in the other country. it is expected that they will share with the study program so that there will be some adjustment and revision of curriculum that will make it equivalent in quality with the curriculum of Medical Laboratory Technology Education overseas,” Fandi closed. Prof. Dr.Masruhki, as the Rector of Unimus, stated that the International Student Mobility, which was a routine program of Unimus dealing with knowledge sharing in the field of Medical Laboratory Technology, would be useful for the students especially in how they improve their professionalism after graduating from Unimus. “All this time, intensive cooperation between Unimus and various foreign higher education institutions matches with the vision of internationalization. Our expectation is Unimus’ graduates will be ready to face the global market, meaning able to work not only in Indonesia but in the entire world,” he said. “Though international activities, the students are expected to be ready to compete with graduates from other countries. With internationalization, cooperation between Unimus and overseas instances are developed in terms of the Three Obligations of Higher Education,” Rector concluded.